Pioneers in the industry, we offer concrete pump spares for construction site from India. Our company has been dedicatedly manufacturing and supplying Concrete Pump Spares for Construction Site. This product of ours comes with a superior performance and an unmatched quality. Our team pays utmost attention to the industry standards and customer satisfaction by adhering to the guided protocols and norms plus providing with excellent product in customized packaging. 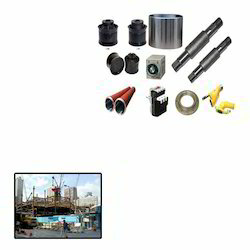 Looking for Concrete Pump Spares for Construction Site ?